A great value delivery service with a signature on delivery. Firstly, measure your parcel accurately. You would measure from the widest points. Weigh your parcel in grams. *Enter the length, width and height into the boxes on the right. *Enter the weight into the weight box in kilos, you would round up to the nearest kg. e.g. 29.1kg would be entered as 30kg. *Select the date for collection, this can not be todays date. *Select the level of insurance per parcel you require. Your account address is where we will collect your parcel from or you can drop off your parcel at our Burnley Parcel Shop. A printer is NOT required for this service with Parcelforce. To comply with transport regulations and in line with other parcel delivery companies, Parcelforce does not carry the majority of goods classified as dangerous in the latest edition of the International Civil Aviation Organization’s Technical Instructions. Parcelforce also prohibit or restrict other materials and products that may be hazardous to our staff and operation. List is not definitive and may be changed from time to time refer to parcelforce.com for the most up to date information. List is not definitive and may be changed from time to time. Money • Money, credit cards, coins, financial documents – or money’s equivalent including bankers drafts, current bank notes, currency notes or coins, postal orders, cheques or dividend warrants; bearer securities including share warrants, scripts, or subscription certificates, bonds or relative coupons, unfranked postage stamps, or revenue stamps, (except a revenue stamp embossed or impressed on an instrument which has been executed); coupons, vouchers, tokens, lottery tickets, scratch cards or similar items which can be exchanged themselves or with any other item for money, goods or services; national insurance stamps; all tickets, including travel and events. Out of circulation coins (not made of Silver or Gold) are classed as Collectables. • Negotiable documents • Stamps un-obliterated postage or revenue stamps. Out of circulation stamps are treated as collectables for compensation purposes (see Collectables, above). • Tickets, or tickets which are exchangeable for goods or services (including without limitation, airline tickets or tickets for any mode of transportation). • Antiques (objects over 100 years old). • Articles made largely or wholly of gold, silver or other precious metals. • Eggs – compensation will be paid for loss or delay but not in the event of damage. • Cakes – compensation will be paid for loss or delay but not in the event of damage. • Plants, cut flowers and seeds and all other perishable foodstuffs & articles – (including plants, flowers, medicines, seeds and other vegetable products intended for further processing), may only be sent in accordance with the terms and conditions set out under the heading "Perishable foodstuffs and articles" in the "Restricted Goods" section of this document. In the case of Consignments for delivery in the UK which contain perishable foodstuffs or articles, these must be sent by a guaranteed next day service as a minimum requirement & be able to withstand transit times of at least 48 hours. Claims for damage will not be accepted where the goods have perished & the parcel was delivered within 48 hours. Claims for damage caused by late delivery will not be accepted where this was outside of our control. In the case of Consignments containing perishable foodstuffs we will not pay compensation for the loss or delay of the Consignment or damage to the items. Unless stated otherwise, we'll pay compensation for loss or delay of parcels, but not damage to the items. • Cases (including suitcases and musical instrument cases) used as external packaging; where hard outer cases are used as packaging, the case will not be covered for damage. This does not affect damage claims for contents providing that our packaging guidelines have been followed. • Ceramics or composites wholly or partially made of china and/or porcelain. Marble or any stoneware or derivatives, fragonite and granite. Fossils, rock and stone items. • Glassware – items wholly or partially made of glass, or containing glass, e.g. glazed picture frames and bottles.• Lighting – damage in transit or in handling of fluorescent tubes, neon lighting, neon signs, X-ray tubes, laser tubes and light bulbs or other inherently fragile items.• Musical instruments – no enhanced compensation is available. We'll pay compensation for loss, delay or damage up to the maximum inclusive compensation, and on condition that the item is packaged correctly (see our Packaging Guidelines). • Plaster items, including plaster of Paris, and Fibre Clay. • Resin items including amorphite, amber and composites. • Any items or commodity that by its inherent nature is particularly susceptible to damage, or the market value of which is particularly variable or difficult are also excluded from compensation cover. *Volume per item must not exceed 500ml. No more than two aerosols can be sent in any one package. Valves must be protected by a cap or other suitable means to prevent inadvertent release of the contents during transport. Aerosols must be tightly packed in strong outer packaging and must be secured or cushioned to prevent any damage.Any package containing aerosol(s) must display the “ID8000” label. See Annex A.The sender’s name & return address must be clearly visible on the outer packaging. Volume must not exceed 1 litre for any one item and no more than two items can be sent in any one package. Must be securely closed & placed in a leak-proof liner, such as a sealed polythene bag. Surround with absorbent material and sufficient cushioning material to protect each item from breakage. No more than two items can be sent in any one package. Mark as ‘FRAGILE’ when sending glass bottles. The sender’s name & return address must be clearly visible on the outer packaging. Carriage of firearms between registered firearms dealers CAN NOT be accepted by us. Alkaline, nickel metal hydride (NiMH) or nickel cadmium (NiCd) batteries - Must be new & sent unopened in their original retail packaging. Surround with cushioning material e.g. bubble wrap. The sender’s name and return address must be clearly visible on the outer packaging. Lithium ion/polymer batteries sent with equipment - The maximum number of batteries allowed in each package is the minimum number required to power the equipment plus two spares. The maximum net quantity of cells or batteries is 5kg per package. Watt-hour rating must not exceed 20Wh per cell or 100Wh per battery. Each cell and battery must be of a type proven to meet the requirements of each test in the UN Manual of Tests and Criteria, Part III, section 38.3. Batteries are subject to these tests irrespective of whether the cells of which they are composed have been so tested. Cells and batteries must be manufactured under a quality management programme as specified in the ICAO Technical Instructions for the Safe Transport of Dangerous Goods by Air. Cells or batteries that are defective for safety reasons, or that have been damaged, are forbidden. Any person preparing or offering cells or batteries with equipment for transport must receive adequate instruction on the requirements commensurate with their responsibilities. The consignment must be accompanied with a document with an indication that the package contains lithium ion cells or batteries; that the package must be handled with care and that a flammability hazard exists if the package is damaged; that special procedures must be followed in the event the package is damaged, to include inspection and repacking if necessary; and also a telephone number for additional information. Cells and batteries must be packed in inner packagings that completely enclose the cell or battery. Cells and batteries must be protected against short circuit, including protection against contact with conductive materials within the same packaging that could lead to a short circuit. The equipment sent with cells or batteries must be packed in strong rigid packaging and must be secured against movement within the outer packaging and packed to prevent accidental activation. Outer package must display the Lithium battery handling label (See Annex A). The sender’s name & return address must be clearly visible on the outer packaging. Lithium ion/polymer batteries contained in equipment - Each package must contain no more than four cells or two batteries installed in equipment. The maximum net quantity of cells or batteries is 5kg per package. Watt-hour rating must not exceed 20Wh per cell or 100Wh per battery. Each cell and battery must be of a type proven to meet the requirements of each test in the UN Manual of Tests and Criteria, Part III, section 38.3. Batteries are subject to these tests irrespective of whether the cells of which they are composed have been so tested. Cells and batteries must be manufactured under a quality management programme as specified in the ICAO Technical Instructions for the Safe Transport of Dangerous Goods by Air. Cells or batteries that are defective for safety reasons, or that have been damaged, are forbidden. Any person preparing or offering cells or batteries in equipment for transport must receive adequate instruction on the requirements commensurate with their responsibilities. Cells and batteries must be protected against short circuit. The equipment containing cells or batteries must be packed in strong rigid packaging and must be secured against movement within the outer packaging and packed to prevent accidental activation. The sender’s name and return address must be clearly visible on the outer packaging. Lithium ion/polymer/metal batteries sent on their own - only via the concurrence process and only available to limited mainland destinations (road only). (c) Each cell and battery must be of a type proven to meet the requirements of each test in the UN Manual of Tests and Criteria, Part III, section 38.3. Batteries are subject to these tests irrespective of whether the cells of which they are composed have been so tested. Cells and batteries must be manufactured under a quality management programme as specified in ADR. Cells or batteries that are defective for safety reasons, or that have been damaged, are forbidden. (i) Packages shall not exceed 30 kg gross mass. As used above and elsewhere in ADR, "lithium content" means the mass of lithium in the anode of a lithium metal or lithium alloy cell. Separate entries exist for lithium metal batteries and lithium ion batteries to facilitate the carriage of these batteries for specific modes of carriage and to enable the application of different emergency response actions. Any person preparing or offering cells or batteries with or in equipment for transport must receive adequate instruction on the requirements commensurate with their responsibilities. Lithium metal/alloy batteries sent with equipment - The maximum number of batteries allowed in each package is the minimum number required to power the equipment plus two spares. The maximum net quantity of cells or batteries is 5kg per package. The lithium content must not be more than 1g per cell or 2g per battery. Each cell and battery must be of a type proven to meet the requirements of each test in the UN Manual of Tests and Criteria, Part III, section 38.3. Batteries are subject to these tests irrespective of whether the cells of which they are composed have been so tested. Cells and batteries must be manufactured under a quality management programme as specified in the ICAO Technical Instructions for the Safe Transport of Dangerous Goods by Air. Cells or batteries that are defective for safety reasons, or that have been damaged, are forbidden. Any person preparing or offering cells or batteries with equipment for transport must receive adequate instruction on the requirements commensurate with their responsibilities. The consignment must be accompanied with a document with an indication that the package contains lithium metal cells or batteries; that the package must be handled with care and that a flammability hazard exists if the package is damaged; that special procedures must be followed in the event the package is damaged, to include inspection and repacking if necessary; and also a telephone number for additional information. Cells and batteries must be packed in inner packaging’s that completely enclose the cell or battery. Cells and batteries must be protected against short circuit, including protection against contact with conductive materials within the same packaging that could lead to a short circuit. The equipment sent with cells or batteries must be packed in strong rigid packaging and must be secured against movement within the outer packaging and packed to prevent accidental activation. Outer package must display the Lithium battery handling label. The sender’s name and return address must be clearly visible on the outer packaging. Lithium metal/alloy batteries contained in equipment - Each package must contain no more than four cells or two batteries installed in equipment. The maximum net quantity of cells or batteries is 5kg per package. The lithium content must not be more than 1g per cell or 2g per battery. Each cell and battery must be of a type proven to meet the requirements of each test in the UN Manual of Tests and Criteria, Part III, section 38.3. Batteries are subject to these tests irrespective of whether the cells of which they are composed have been so tested. Cells and batteries must be manufactured under a quality management programme as specified in the ICAO Technical Instructions for the Safe Transport of Dangerous Goods by Air. Cells or batteries that are defective for safety reasons, or that have been damaged, are forbidden. Wet, non-spillable batteries - Batteries must comply with Special Provision 238 of the UN Recommendations on the Transport of Dangerous Goods, Model Regulations (please check with the manufacturer or distributor). No more than one battery in any one package. Maximum weight 1.5kg. Item must be protected against short circuit (by the effective insulation of exposed terminals) and securely packaged. Package must be marked “NOT RESTRICTED” and “SPA67 /SP238”. The sender’s name and return address must be clearly visible on the outer packaging. Diagnostic specimens including blood and urine. Category B (UN3373) as classified in the latest edition of the ICAO Technical Instructions for Safe Transport of Dangerous Goods by Air. May only be sent by, or at the specific request of, a qualified medical practitioner, registered dental practitioner, veterinary surgeon, registered nurse or a recognised laboratory or institution. The total sample volume/mass in any parcel must not exceed 50ml/50g. All biological substances must be posted in packaging that complies with Packaging Instruction 650 of the Technical Instructions, however dry ice (UN1845) is not permitted. The sender’s name and return address must be clearly visible on the outer packaging. Infectious Substances assigned to Category B are only permitted for destinations within the United Kingdom. None of the following can be sent on any Parcelforce export service. They can only be sent on a Parcelforce UK service, however these items are excluded from compensation. Money: bankers drafts, current bank notes, currency notes or coins, postal orders, cheques or dividend warrants; bearer securities including share warrants, scrips, or subscription certificates, bonds or relative coupons, unfranked postage stamps, or revenue stamps, (except a revenue stamp embossed or impressed on an instrument which has been executed); coupons, vouchers, tokens, lottery tickets, scratch cards or similar items which can be exchanged themselves or with any other item for money, goods or services; national insurance stamps; all tickets, including travel and events. Out of circulation coins (not made of Silver or Gold) are classed as Collectables. Items requiring Parcelforce to obtain any special licence or permit for transportation, importation or exportation; or consignments with a declared value for customs in excess of that permitted for the particular destination should not be sent on any international service. Any items packaged in Kraft paper can not be sent via our globalexpress service. • Destroyers of noxious pests and other insects sent to or from officially recognised institutions. • Leeches and certain parasites. • Fish fry and eggs. No other living creatures are accepted. To send any of the above, express9, express10, expressAM or express24 services must be used for Zones 1 to 3. May be sent within the UK, Channel Islands & Isle of Man only. Volume per item must not exceed 150ml. No more than four perfumes or aftershaves can be sent in any one package. The perfume or aftershave must be within its original retail packaging & then placed in strong outer packaging. The inner packagings must be packed, secured or cushioned to prevent breakage or leakage of their contents into the outer packaging. An ID8000 label must be applied (See Annex A). The sender’s name & return address must be clearly visible on the outer packaging. Nail varnish & polish Volume per item must not exceed 30ml. No more than four bottles of nail varnish can be sent in any one package. Bottles of nail varnish must be placed in strong outer packaging & be so packed, secured or cushioned in such a way that they cannot break, be punctured or leak their contents into the outer packaging. An ID8000 label must be applied (See Annex A). The sender’s name & return address must be clearly visible on the outer packaging. Perishables Fresh fruit, meat, fish & other perishable articles should be able to withstand transit times of at least 48 hours & must be sent on a next day service as a minimum requirement within the UK. Packages must be clearly labelled ‘PERISHABLE’. Packages of fish should be smoked or chilled & sealed in vacuum packs before sending. In all cases, they must be enclosed in adequate polystyrene containment to prevent contamination. It is the responsibility of the shipper to package all perishable articles in such a manner that during transport the contents are kept at an appropriate temperature that is unlikely to give rise to a risk to health. Plants Live plants may only be sent in accordance with the terms and conditions set out in the heading ‘Perishable foodstuffs and articles’ above. Prescription medicines drugs sent for scientific purposes. May only be sent by, or at the specific request of, a qualified medical practitioner, registered dental practitioner, veterinary surgeon, registered nurse or a recognised laboratory or institution. Volume/mass per item must not exceed 50ml/50g. The medicines must be securely closed & placed in a leak-proof container such as a sealed polythene bag (for liquids) or a sift-proof container (for solids). Must be tightly packed in strong outer packaging & must be secured or cushioned to prevent any damage. The sender’s name & return address must be clearly visible on the outer packaging. If the medicines are classified as dangerous goods (flammable or toxic) by the ICAO Technical Instructions for the Safe Transport of Dangerous Goods by Air, an ID8000 label must be applied (See Annex A). Radioactive materials Radioactive materials not classified as dangerous goods in the latest edition of the ICAO Technical Instructions for the Safe Transport of Dangerous Goods by Air, such as samples of granite rock, Surround with cushioning material e.g. bubble wrap.The sender’s name & return address must be clearly visible on the outer packaging. These items may only be despatched if they are packaged appropriately so that they do not present a risk to staff, other packages or recipients. Works of art are excluded from compensation for loss or damage. Prohibited goods In the event of Parcelforce returning an item to the sender due to contravention of customs regulations for Prohibited Goods, the charges will not be refunded & a return charge may apply. Arms and ammunition Ammunition (other than lead pellets & other airgun and airsoft projectiles) is prohibited. All weapons (including Section 5 firearms, CS gas and pepper sprays, flick knives, tasers & stun guns; components of firearms & all other items similar to, or resembling the foregoing) are prohibited. Christmas crackers Christmas Crackers are prohibited. Counterfeit currency Counterfeit currency &counterfeit stamps are prohibited. • Flammable liquids including acetone, benzene, petroleum, lighter fluid, solvent-based paint thinners & removers and many paints, enamels & adhesives. 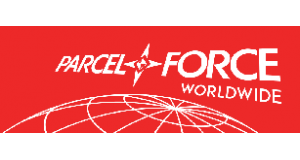 Next Day or Two Days Delivery to The UK Mainland Tracked with Parcelforce Couriers up to 30kg. *This is a door to door service. *No printer required to use this service. *Collection Monday - Friday between 9am and 6pm only. You must write the recipients name, address & phone number on the parcel, the driver will put the bar code on the parcel once collected and will give the sender the tracking number. 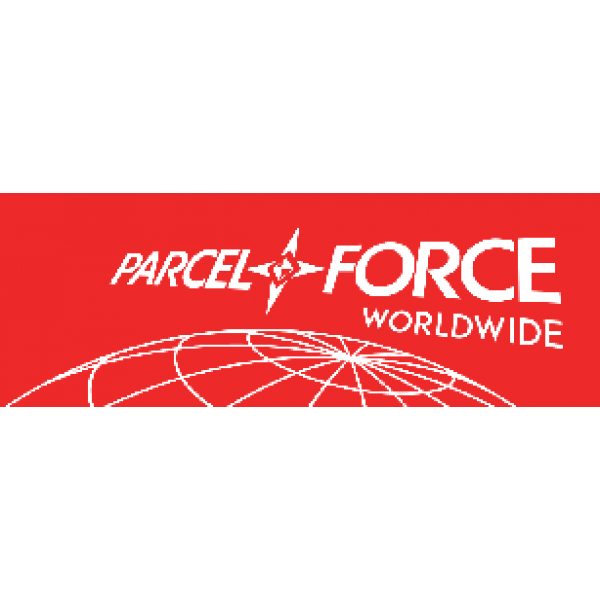 The maximum length of a parcel with Parcelforce is 250cm. Enter the length, width and height in the boxes on the right to get a quote. Over-sized parcels will be held and an additional fee is required to pay. Do not send fragile items, furniture or white goods as these are not insured. Choose the level of insurance you require from the drop down menu, £60 of free insurance is included with each parcel sent. If Parcelforce try to deliver the parcel and you are not in they will put a card through your door advising you to call the phone number supplied to re book a different date. The main Parcelforce phone number is 0344 800 4466. Ensure your parcels are well wrapped to protect them from damage, damage caused to parcels not sufficiently packaged will result in an insurance claim invalid. COLLECTION DETAILS: NAME OF PERSON, ADDRESS, POSTCODE & PHONE NUMBER. DELIVERY DETAILS: NAME OF PERSON, ADDRESS, POSTCODE & PHONE NUMBER. Next Day Delivery, Two Day Delivery, to The UK Mainland, Tracked, Parcelforce Couriers, no printer required, 1kg, 2kg, 3kg, 4kg, 5kg, 6kg, 7kg, 8kg, 9kg, 10kg, 11kg, 12kg, 13kg, 14kg, 15kg, 16kg, 17kg, 18kg, 19kg, 20kg, 21kg, 22kg, 23kg, 24kg, 25kg, 26kg, 27kg, 28kg, 29kg, 30kg, parcelforce large, large parcel, parcelforce 24, parcelforce 48.